This spectacular Stone and Cedar house sits atop 1.25 rolling acres of 150 yr old towering Oak Trees. 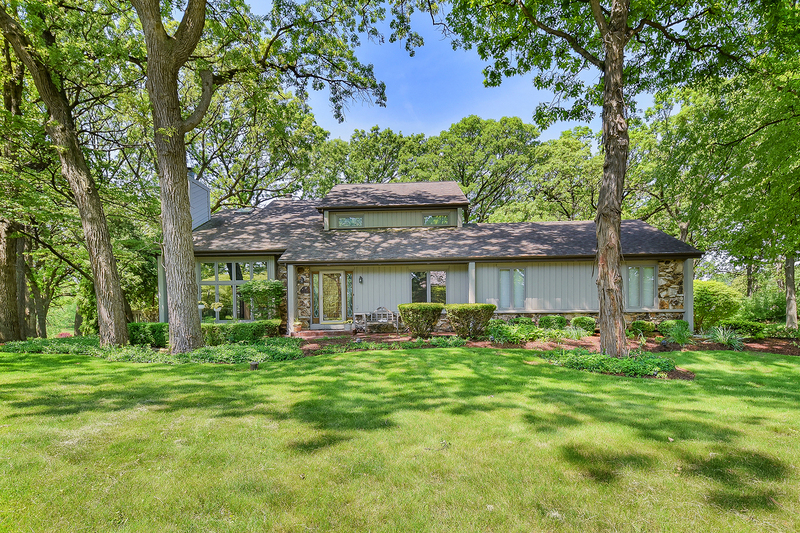 Completely updated 4 bedroom, 3.5 bath home in Exclusive Wayne Township offers gourmet kitchen with Granite/Stainless Steel appliances, 4 Season Sunroom with Southern Exposure, 2 Fireplaces with Full wraparound deck and Master Bedroom Private Deck. The walkout lower level, complete with it&apos;s own wine cellar, Kitchenette, Bedroom, Billiards Room and Full Bath completes 3 Levels 4,000 sq. ft. of Luxurious Living! Extraordinary views from every window of Mother Nature. This immaculate unique property offers Elegance, Versatility and Privacy, for the buyer.